Mary returns to Supernatural and almost immediately, the heartbreaks start. 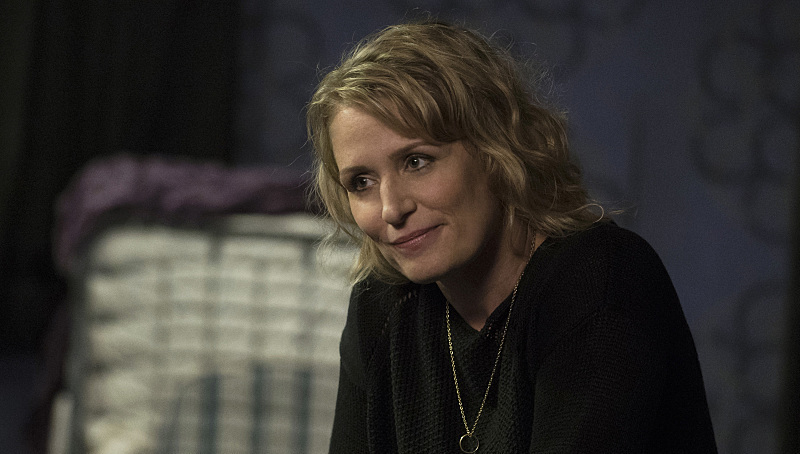 In Thursday’s Supernatural, Mary did the unthinkable and left. That’s right, she returns from the dead and then leaves Sam and Dean all over again. It’s as devastating as it sounds, but before you start hating on Mama Winchester, hear her out. It’s no secret that Mary’s been struggling since Amara resurrected her. She’s returned to a completely different time period, her baby boys are all grown up, her love John Winchester is dead, her family is still a hunting family and the world around her is something she just doesn’t understand. Dean has pretty much been living in denial and has even been somewhat naive about it all, although Sam recognizes Mary’s struggles. He even told Dean that their mom is trying to bury herself in hunting so she doesn’t have to deal with her issues. Sam has been there, done that, so who better to relate to Mary? Despite realizing their mom is having a hard time adapting to her new life, I’m pretty sure Sam and Dean never thought that their mom would leave them all over again. Granted, the first time wasn’t by choice because she was killed by Azazel. However, the second time was completely Mary’s decision. Not only does Mary miss John and the Sam and Dean she remembers, but she also misses their home. As she told her boys, “I’m still mourning everyone as I knew them.” Of course, she loves Sam and Dean, but it’s also hard for her to be around them because each moment she spends with them reminds her of all the moments she lost with her baby Sam and her little boy Dean. Mary admitted she thought hunting would help alleviate the pain and emotions she’s dealing with, but it hasn’t. So her temporary solution is to leave for a bit. She just needs a little time to find herself and her place and figure out where she belongs. Not to mention, Mary surely needs time to come to terms with everything that’s happening and all of the changes she’s experienced. Don’t get us wrong; Dean’s reaction to seeing his mom walk out of the bunker was extremely difficult to watch. Then, to see Mary hug Sam goodbye was heart-wrenching. We would love for Mary to stay with Sam and Dean rather than go off on her own – they just got their mom back after so many years and to be without her again? Well, it doesn’t seem fair. That said, we totally get where Mary is coming from. If she doesn’t find happiness within herself and begin her healing process, then she is not only going to be miserable, but she won’t be any good to Sam and Dean. This is the way it has to be done. Also, the way Mary’s handling all of this is realistic as well, so we applaud Supernatural for not just making Mary this flawless character who is 100 percent perfect after being dead for 30-plus years. This is how most people would probably deal with this type of situation. Let’s just hope Mary can begin living a happy life and eventually start doing it with Sam and Dean by her side.